Traditional farming practices conform to sustainable rural livelihoods, while agricultural modernisation tends to undermine these practices through various perturbations. 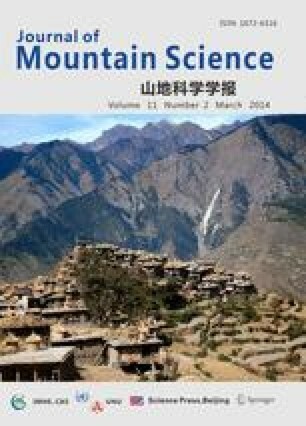 A case study in Tengchong County (western Yunnan, China) shows that transformation of traditional alder (Alnus nepalensis) and dry rice (upland rice) rotational farming to introduced Chinese fir (Cunninghamia lanceolata (Lamb.) Hook.) plantations leads to localised water scarcity and soil fertility decline. While farmers are aware of ecological sustainability of traditional farming, they prefer Chinese fir forestry because it is less labour-intensive, has a high market value, and releases time for profitable off-farm work. Farmers adapt to economic liberalization by planting high value crops and trees. However, alternatives to make local agricultural production more profitable through competitive business strategies, cooperative approaches, innovations in integrating high value crops and ‘downstream’ processing for sustainable rural livelihoods have been overlooked largely due to poor information availability and lack of organisational framework. Chen, F and Davis, J. 1999. Land reform in China since the mid-1980s. Sustainable Development Department, Food and Agriculture Organization of the United Nations. [Online] Available from: http://www.fao.org/sd/LTdirect/LTan0031.htm [Accessed 10/9/2005]. Food and Agriculture Organisation of the United Nations (FAO). 2003. Traditional agricultural systems: alder based rotation and inter-cropping. [Online] Available from: http://www.fao.org/ag/agl/agll/giahs/cands-e.stm [Accessed 3/9/2005]. Kahrl, F, Weyerhaeuser, H and Su, Y. 2005. An Overview of the Market Chain for China’s Timber product Imports from Myanmar. Forest Trends. [Online] Available from: http://www.forest-trends.org/documents/publications/Indonesia%20Report_final%208-22-05.pdf [Accessed 4/9/2005]. Padma, T V. 2005. Beating world hunger: the return of ‘neglected’ crops. Science and Development Network, 5/8/2005. [Online] Available from: http://www.scidev.net/dossiers/index.cfm?fuseaction=dossierreaditem&dossier=11&type=2&itemid-432&language=1 [Accessed 1/9/2005].